If someone does not, or cannot, acknowledge an alert, it is automatically escalated to someone else and is not missed. Incident responders are grouped in order of escalation. 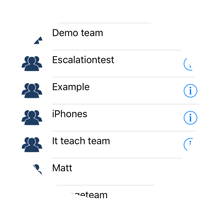 They can also be grouped based on specific processes or activities to match alerts with skill sets or knowledge levels. Easily manage on-call schedules, recurring on-call rotations and shifts. 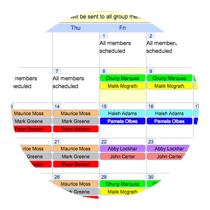 When an incident occurs, the OnPage system will use this scheduling information to determine which individuals should be alerted. 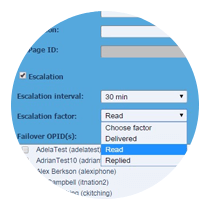 See the escalation manager in action! From Escalation Manager to Escalation Ninja! Learn how to set up escalation policies that encourages sharing incident management responsibilities without burning out your team. 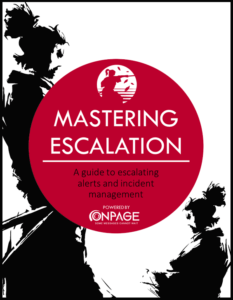 Download the Mastering Escalation Guide today to reduce resolution time and improve team morale.